Can be fitted to any brand of multi needle quilting machine. 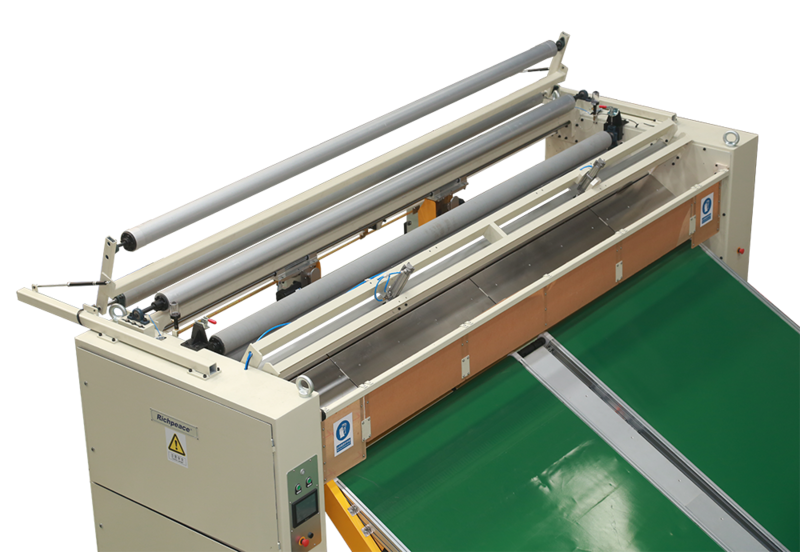 Cycle cutting device synchronizes with the quilting machine. Automatic positioning with the laser sensor. Setting device for distance between cuts. Delta touch screen human-machine operating interface. Safety protection implements the EU safety standards. Automatic sharpen when edge and cross cutting. Smoothly cross cutting, cycle control. Laser sensor calibration makes more accurate. Length positioning control, automatic adjust quickly and accurately. Table can be adjusted up and down, increase the rolling radius. 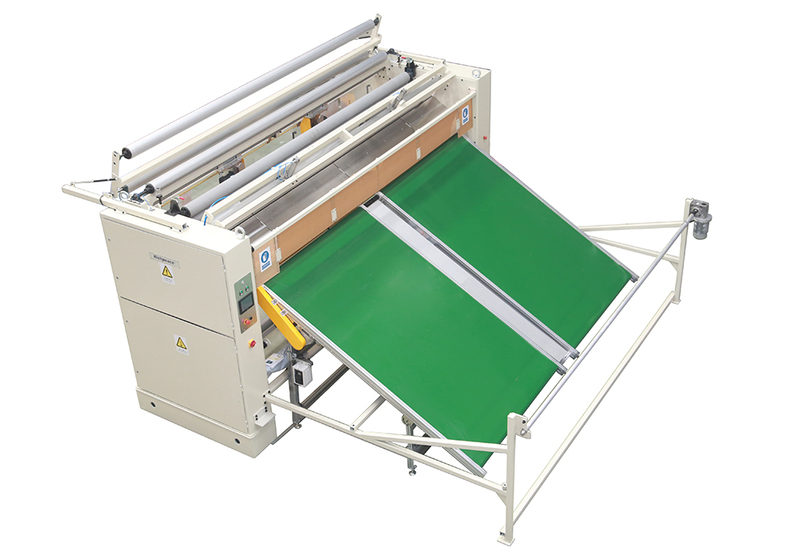 Conveniently manual or automatic set among edge cut, cross cut, strip cut.